Boil chicken pieces, onion, garlic & salt in 8 cups of water till the chicken becomes tender. Take out the chicken pieces. Keep aside the chicken stock. 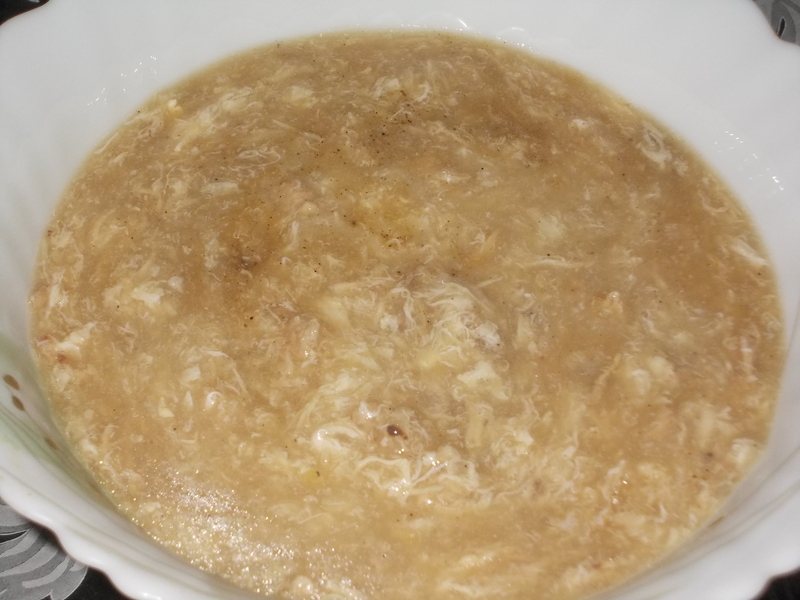 Heat the chicken stock with smashed chicken. Add soya sauce, pepper, cornflour. Allow it to boil for 2 minutes. Mix beaten egg & butter & boil for more 1 minute.